As I mentioned yesterday, Alex and I recently hosted a one-year anniversary housewarming party for ourselves. Our goal was to make this more of an 'open house' where our busy friends could come and go as they pleased, so it wasn't going to be any kind of formal sit-down meal with a specific start time. Instead, it needed to be small bites and foods that are easy for guests to help themselves to or to eat off of paper plates while standing and mingling. And from the perspective of the cook, there also needed to be a good balance of items that Alex could grill, things that I could make ahead of time, and a few pre-made, convenience, or shortcut dishes too. When I was looking for a second protein to serve as an alternative to the ribs, I decided on white meat chicken since it's lean and different from the heavier pork ribs. But how do you make chicken stand up to low and slow roasted ribs? You bread and fry it, of course. Now, my chicken wasn't actually fried but it was tender, juicy, and full of spicy flavor. 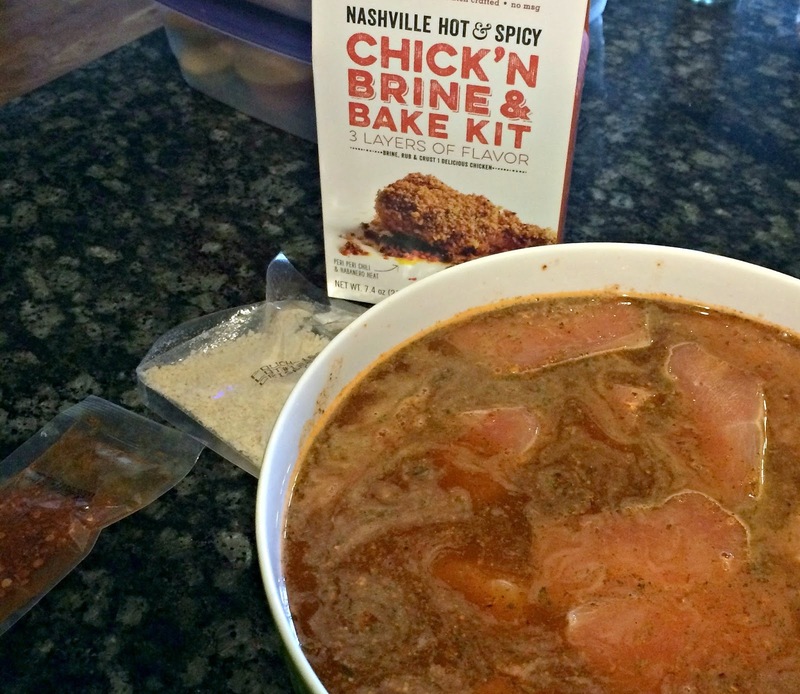 I cut several chicken breasts into small plate-friendly tenders and used the Urban Accents Nashville Hot & Spicy Chick'n Brine & Bake Kit. This fantastic kit includes a mix for brining the chicken (ensuring it is moist and flavored throughout), a spicy Nashville-style rub (for a kick of extra flavor and heat), and a breading mixture which creates a deliciously crispy coating for the chicken. Having never tried this before, I was a little apprehensive about trying it out on my guests for the first time. 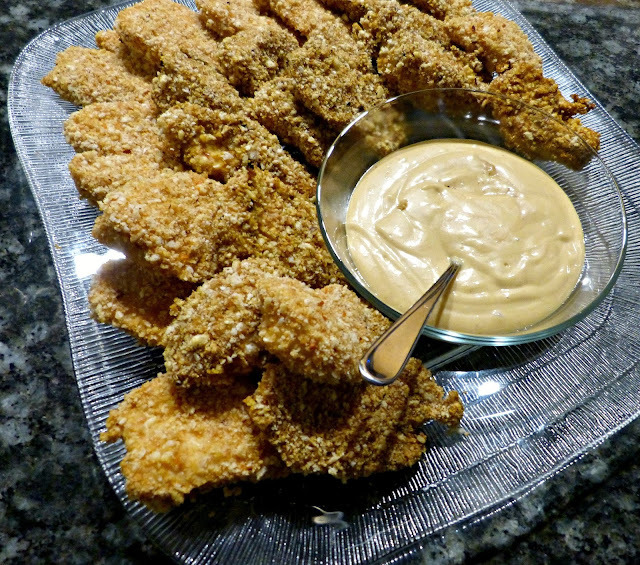 These chicken tenders turned out to be one of the biggest hits at the party. Several people asked me how they were made and I was a bit embarrassed to admit that it came from a box! However, they were insanely delicious and a real crowd pleaser with great crunch and spicy flavor so I would happily use one of these kits again (they make a Tuscan Herb variety too... yum)-- for guests or just for us. One of the other big hits at the party was another one of the easiest ones that I made that night. These watermelon & feta bites are vegetarian-friendly, are served cold, and the perfect combination of salty and sweet, and they're made with only 4 ingredients! The most difficult part of the prep work here is all the cutting you'll be doing with the watermelon and feta. Beyond that, it's a matter of skewering them, plating the bites, and drizzling stourebought balsamic glaze over the top. The sweet summery watermelon, salty feta, fresh basil, and tangy glaze make for an irresistible appetizer-- and a foolproof and elegant summer party snack! 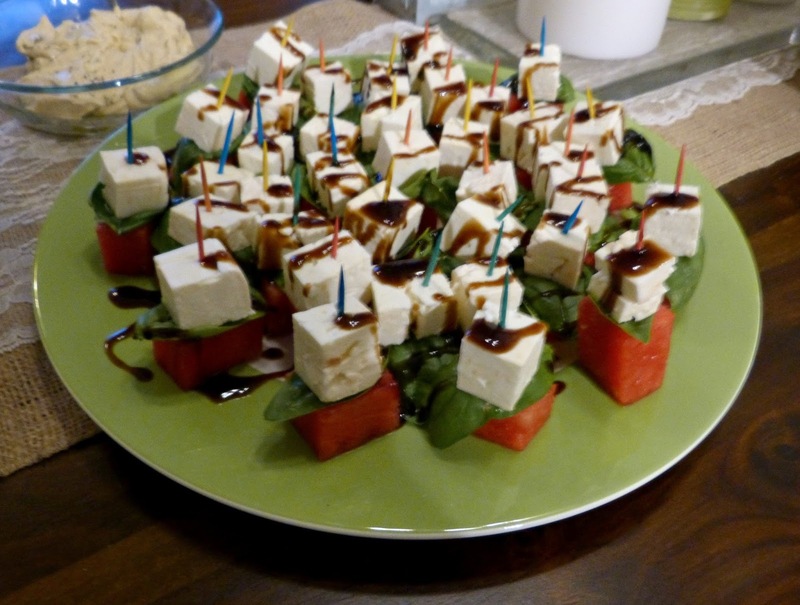 For each toothpick, gently skewer a feta cube, a basil leaf, and then a cube of watermelon. Be sure to insert the skewer directly in the middle of feta cube and also into the center of the watermelon cube. 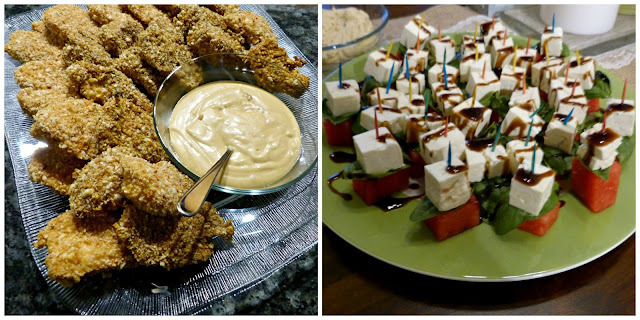 The toothpick or skewer should not go all the way through the watermelon, but just to the edge-- once the three ingredients are skewered, place them on a serving platter watermelon-side down with the skewer standing up vertically. Continue with the rest of the ingredients. *If making these a few hours ahead, make the skewers, plate them, and refrigerate. Drizzle with balsamic glaze when ready to serve. Editor's Note: Products were provided by Urban Accents at no cost in order to facilitate this post. The opinions expressed herein, as always, are my own. Thanks, Jillian! I love this combo in the summertime! We attended an event here this past Sunday & had an awesome experience from beginning to end. 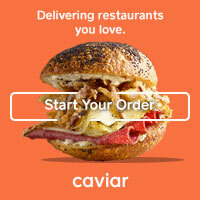 They served great food at NYC venues and the salad I had for dinner was delicious. The service also was impeccable. "Comlete Exclusive" (user that commented above) is a link spammer that posts comments so they can insert a link to the website that hired them. The same comments has been posted over 100 times on other blogs. Here's a search for a string of text from your comment so you can see for yourself that these blogs all have the same comments with a link to some page on the same site. https://www.google.com/search?q="We+attended+an+event+here+this+past+Sunday+%26+had+an+awesome+experience+from+beginning+to+end.+They+served+great+food"